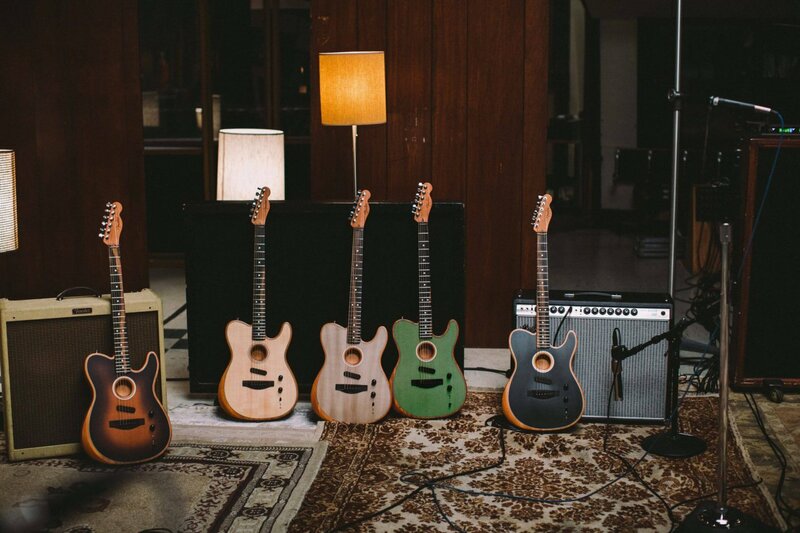 With its American Performer series released last year, Fender’s first big launch of 2019 shocked everyone by being, of all things, an American-made acoustic guitar. However, the reality is not quite so simple, and a lot more interesting. The fruits of three years of R&D, the American Acoustasonic Telecaster is designed to offer performing artists high-quality acoustic and electric tones thanks to the bespoke Fishman/Fender Acoustic Engine. With the ability to blend the two to taste, the Acoustasonic Telecaster’s small body minimises the risk of onstage feedback, while Fender’s new Stringed Instrument Resonance System (SIRS) ensures that the guitar still delivers the resonance and lively harmonics you’d want from a good acoustic. And with a mahogany Telecaster neck, it feels familiar, too. The Acoustasonic Telecaster might not be the first high-end electric/acoustic hybrid, but it’s a bold change of pace for the world’s biggest guitar company, and a fascinating musical tool. Lowden’s new collaboration with Ed Sheeran has been one of the highlights of NAMM 2019. Martin has kicked off 2019 with the Modern Deluxe Series – a fresh take on the brand’s Vintage Series. 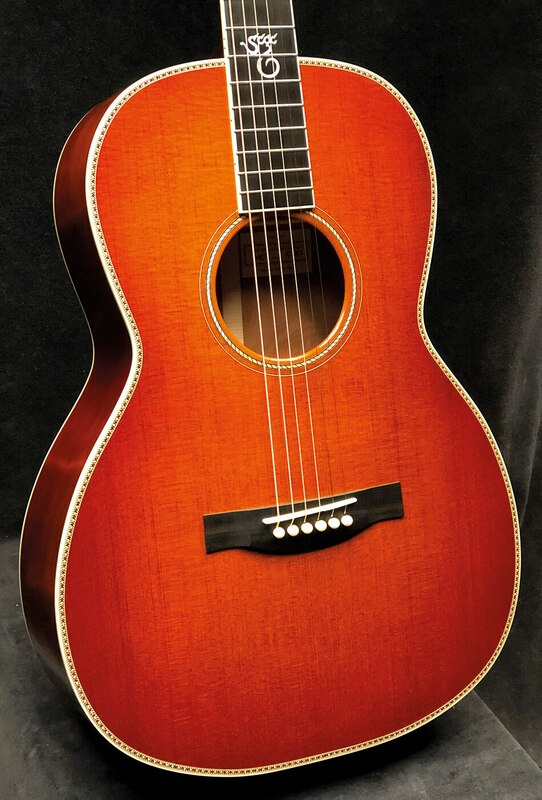 Offered in D-18, D-28, 000-28 and OM-28 formats, each guitar features a Sitka spruce Vintage Tone System (VTS) top, VTS Adirondack spruce braces, and a natural-protein-glue construction to produce “the rich, fully aged Martin tone that has inspired generations”. Modern tweaks include a redesigned neck shape with a slightly asymmetrical contour, a lighter titanium truss rod and a carbon-fibre bridge plate. 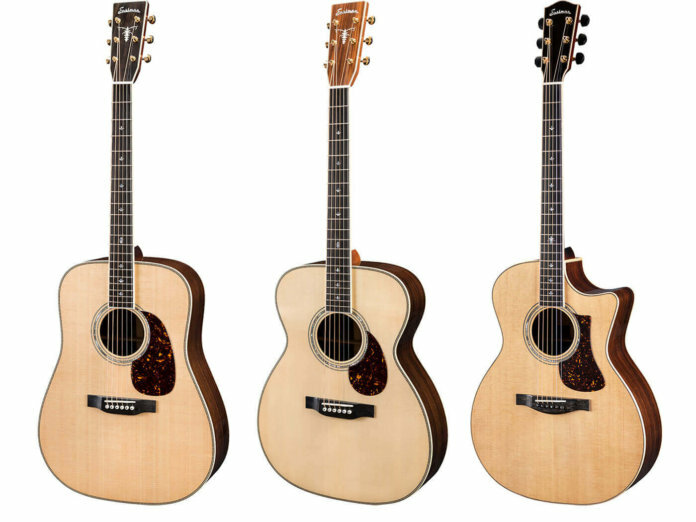 The company has also overhauled its Dreadnought Jr and Road Series, and a trio of new slope-shoulder dreadnoughts. Canadian company Godin is promising that 2019 will be its “most ambitious year yet” and it’s kicking off in style with the company’s first-ever range of Godin-branded acoustic guitars. The most eye-catching example of the new range is the Rialto, named after a renowned movie theatre in the company’s home of Montreal. In striking Satina Grey and with top-mounted tone and volume controls, it treads the line between acoustic and electric guitars. Time will tell if the sonics match the eccentric looks. Santa Cruz’s NAMM showpiece guitar is stunning in this beautiful red burst finish, but it’s what’s underneath the Ancient Kauri’s lacquer that’s really special. The guitar’s back, sides, rosette and headstock overlay are made from an Ancient Kauri tree which is radio carbon dated at 45,000 years old. The tree, buried during the last Great Cataclysm and starved of oxygen, was preserved until it was unearthed in New Zealand in the early 2000s, and later purchased by Santa Cruz. The top wood is made of ‘Tunnel 13’ redwood harvested in the Siskiyou mountains of Oregon from the wreckage of the ‘last great train robbery of the West’ in 1923. Ancient timber and the Wild West rolled into one great-looking guitar? Very cool indeed. Read our picks of the most anticipated electric guitars here.